This year, Valentine’s Day happens to fall the Thursday before President’s Day weekend. 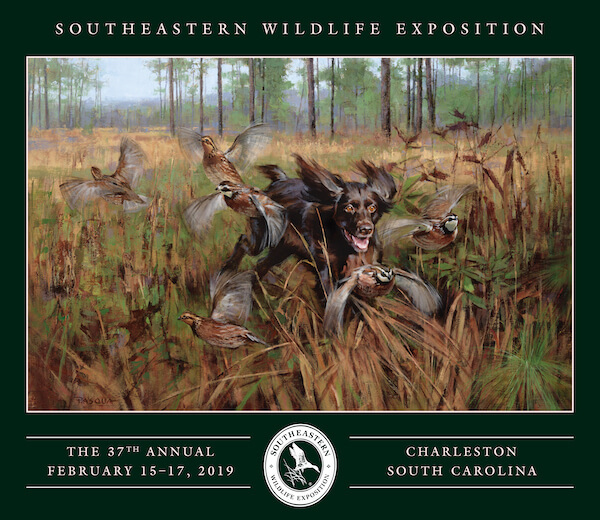 While Charleston is certainly known for its romance, President’s Weekend is one of Charleston’s most famous weekends because it’s time for the annual Southeastern Wildlife Exposition (SEWE). This is your perfect opportunity to make that long weekend a little longer and enjoy some much-deserved time off. All day and night there are events ranging from family-friendly activities like dog jumping competitions and fishing demonstrations to fun-for-the-grownups evening socials, black-tie gala and ladies’ brunch, making this the perfect weekend to grab your family or a group of friends and make your way to Charleston. Tickets are still available but going fast, and most activities are within walking distance to The Charleston Chestnut Mansion. To see the full schedule and purchase tickets, click here. If you need assistance purchasing tickets or recommendations of what events to do, please let us know. We’ll give you our best suggestions for how to fill out your weekend with activities and food sure to make this a weekend to remember. We welcome you to celebrate your love of wildlife, travel, and spending time with loved ones this Valentine’s/President’s weekend and join us for the Southeastern Wildlife Exposition!